This review is going to be a little different. 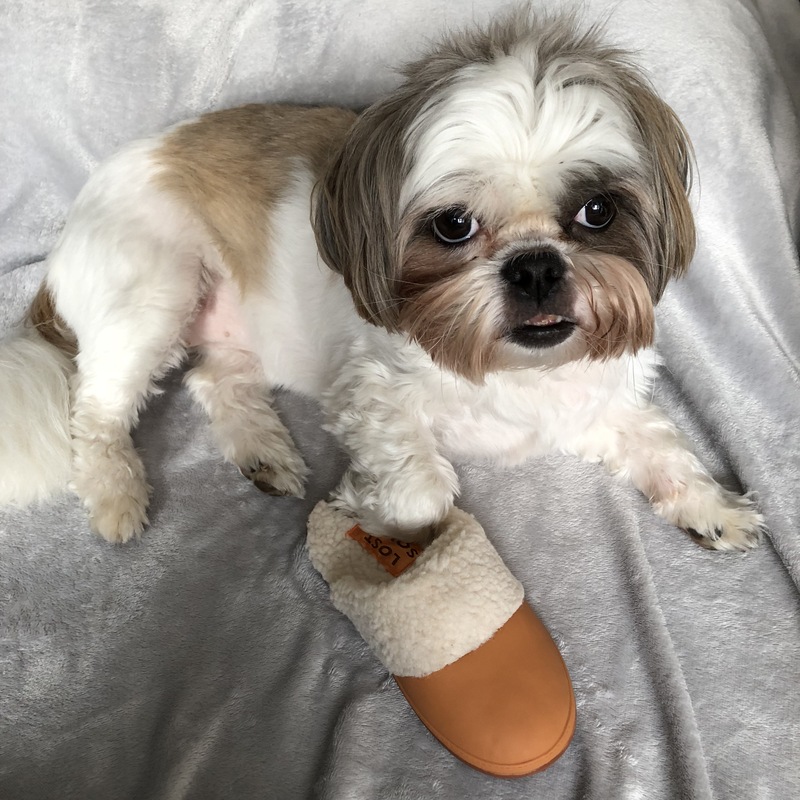 I usually vlog my unboxing videos so that you can see Pixie and Roxys reactions but for this unboxing I have chosen to do a blog post with my honest review. Something a little different I guess, the only difference is that you don’t see the girls reactions with the yummy treats inside the box. 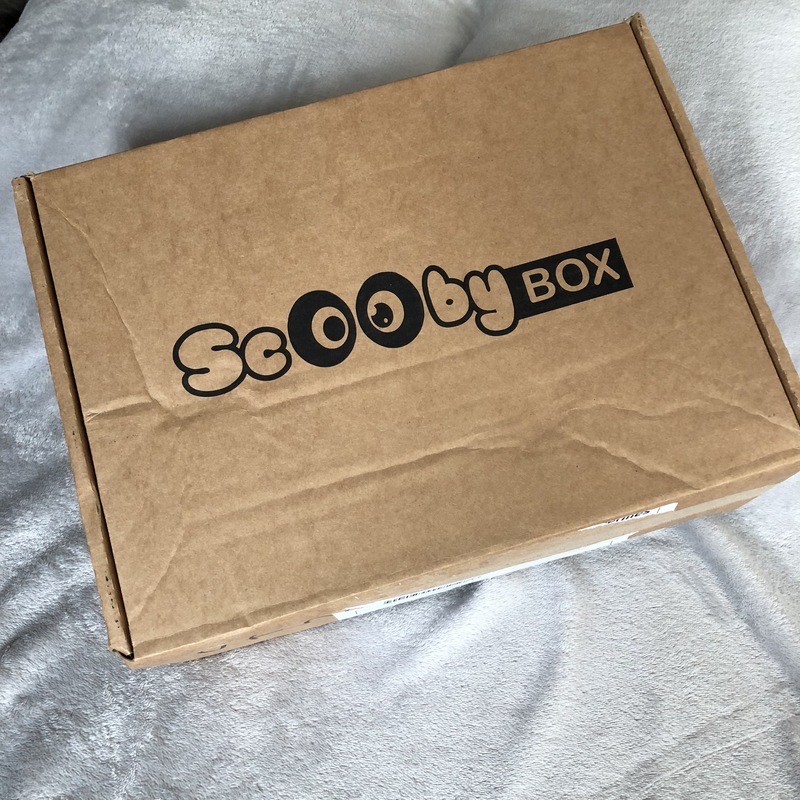 I stumbled upon this box with the help of one of our youtube subscribers who suggested ScoobyBox. 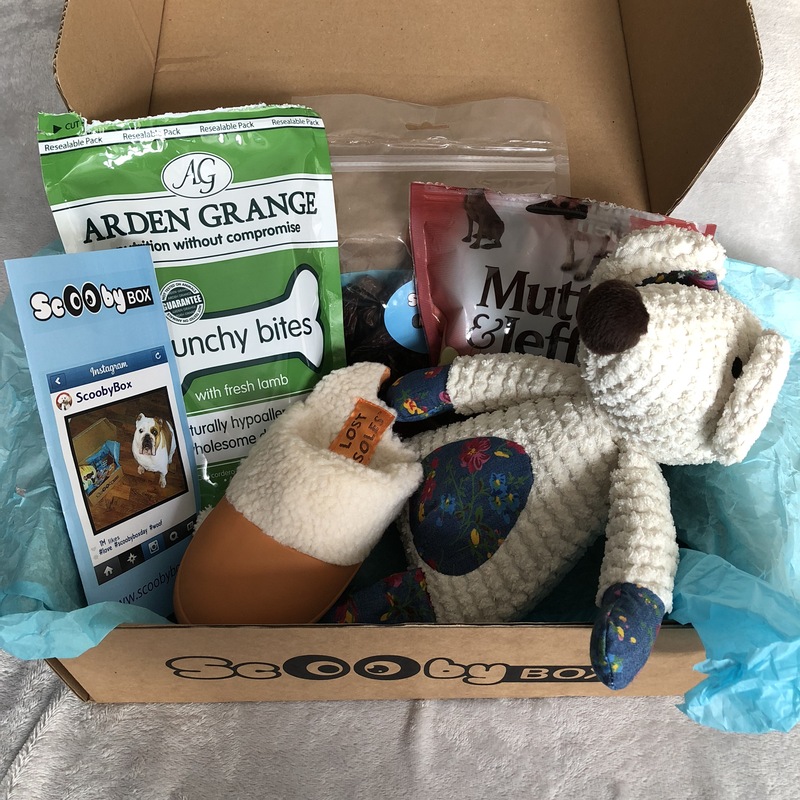 Our current subscription Pet Nature Box is closing after Christmas and I have been searching for a new box. After looking into ScoobyBox I thought I would give it a go. 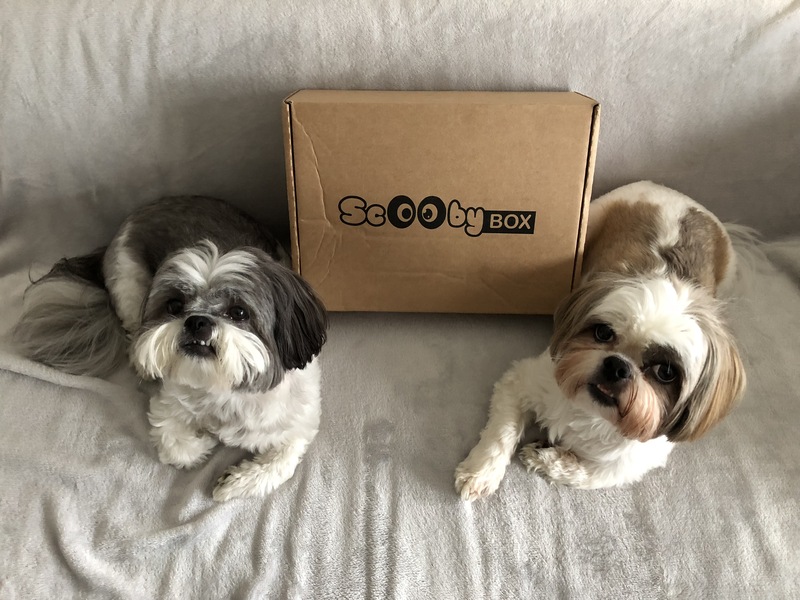 ScoobyBox offers a one off box, 6 months or a 12 months subscription service based in Ireland. The longer the subscription the cheaper the box is every month. Inside you get 5 items and 6 if you pay a little extra for the extra item. These items consist of toys, treats, chews and other goodies with the RRP of over £35 worth of goods. They have different deals on such as 50% off your first box or like me, I got our first box for £1 which was a great deal to start us off. I was super excited to see what goodies Pixie and Roxy were going to get. I decided to keep this box for Pixies Birthday and is seen in her Birthday video which has already been posted on youtube So if you are a subscriber to my youtube and you are reading this post you may have already seen what is in this box. First impression is everything when it comes to these subscription boxes, well for me anyway. If I like the look of the box and whats in it I am likely to stick with it. 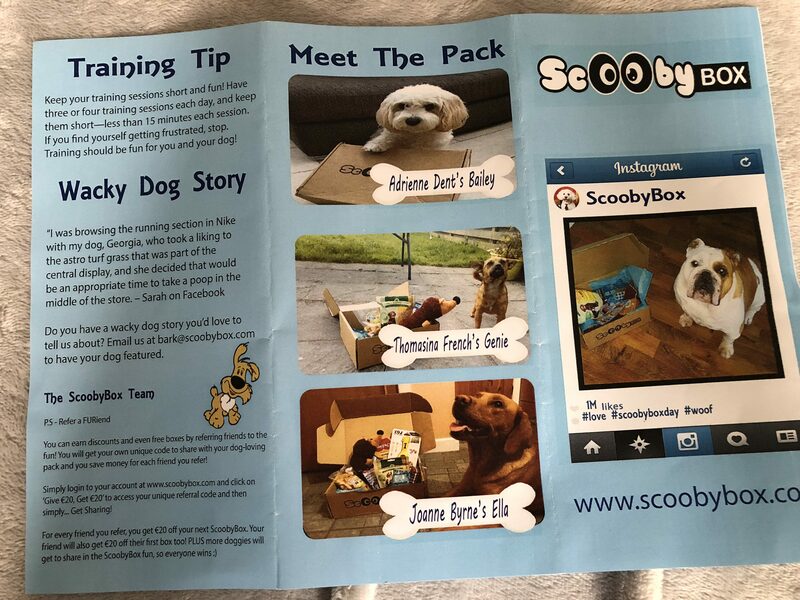 For our first ScoobyBox I was a little unsure. To start off with our box was not sealed, as shown in the picture above the box was closed but I have opened it slightly to show that there is no security on this box, not even a bit of tape to keep it shut and sealed. This makes me feel a little uneasy and makes me think that anyone could get into the box. For me presentation is key. 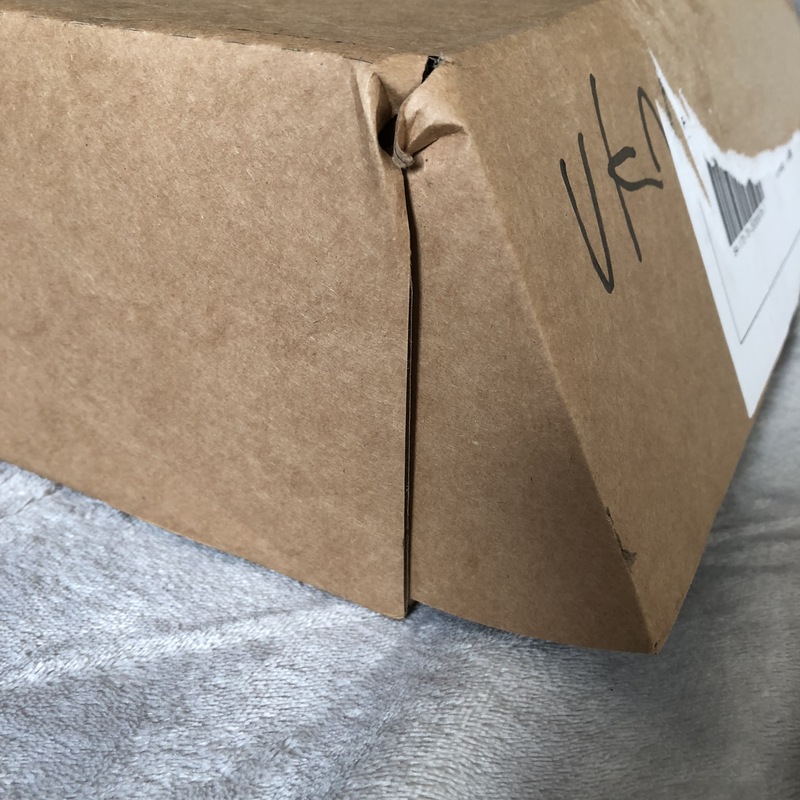 As I opened the box I felt like the items had just been thrown in and the tissue paper was all over the place(I understand things can move in the post but if it secured in the box better then the items would be kept in place). 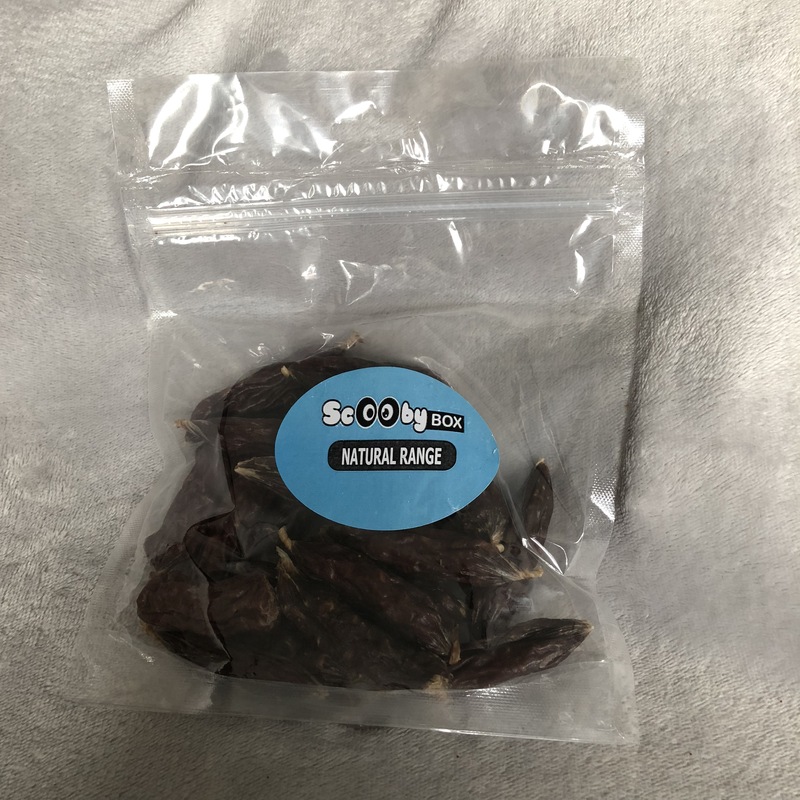 These may come across as stupid little things that I am picking up on but compared to other subscription boxes we have had this could be better. However I am not going to let this ruin out first experience of this box. Lets talk about what is in this yummy looking box. We got 5 items as we didn’t pay for the extra toy at the time of signing up. Looking at the brands without pulling them out of the boxes they look like very healthy treats. 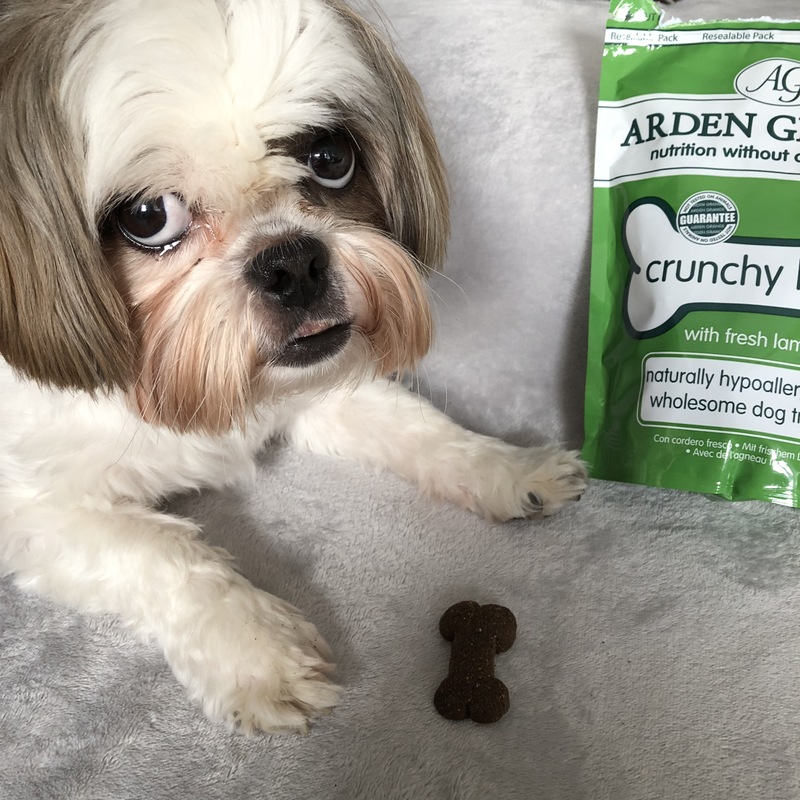 Arden Grange I have heard of before and we get them in our local Pets At Home, we have tried the Salmon treats before of this brand. Mutts & Jeff we have never heard of before so this was very new to us. I knew instantly that Pixie was going to love the toys. She loves plush toys she can throw around and toss in the air basically rag doll as much as she can with it. Inside was a leaflet with some interesting facts and information about the products that are inside the box something I like to see in every box we get. 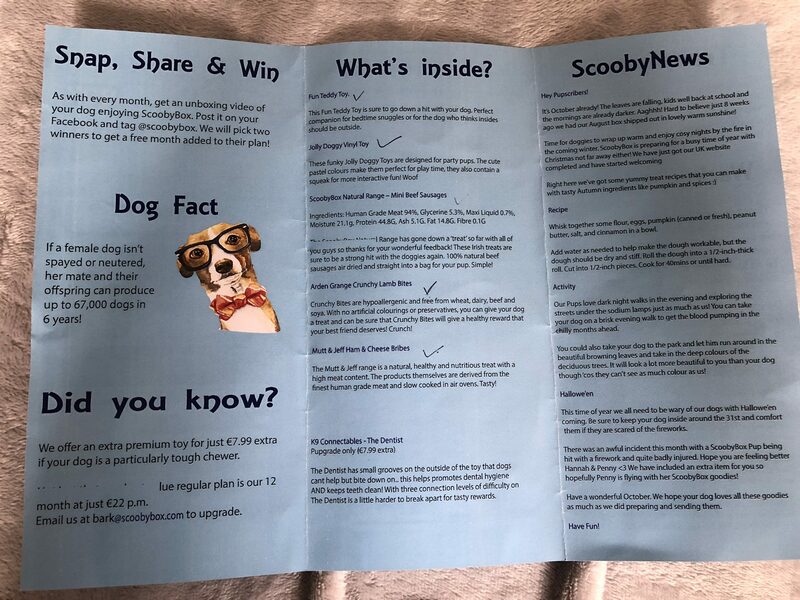 However some of the words were half typed or missing from our leaflet which made it hard to read. 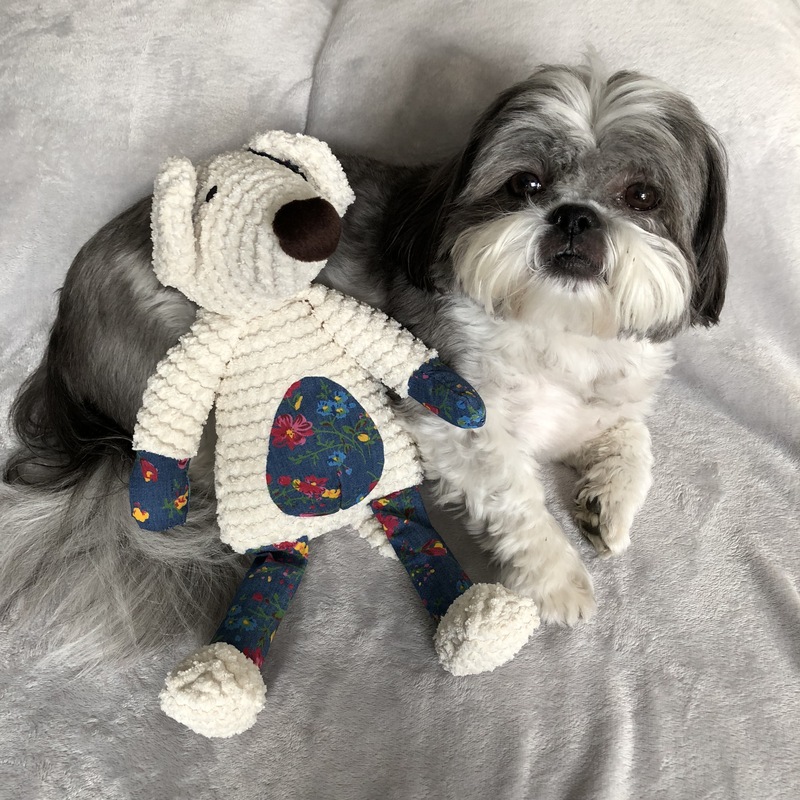 The toys are really good quality, Pixie really loves these toys, Roxy on the other hand has no interest in them like the rest of the toys we have, she just keeps herself to herself. 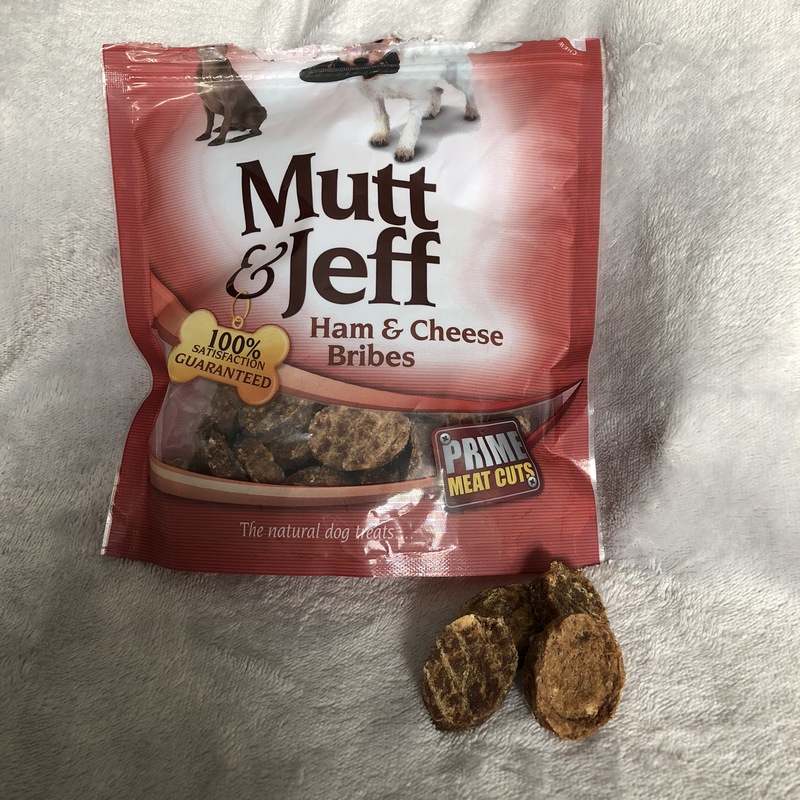 The Mutt & Jeff Treats went down a treat I mean they are ham and cheese bribes and Pixie loves anything cheese and Roxy will eat anything and everything she gets her paws on. 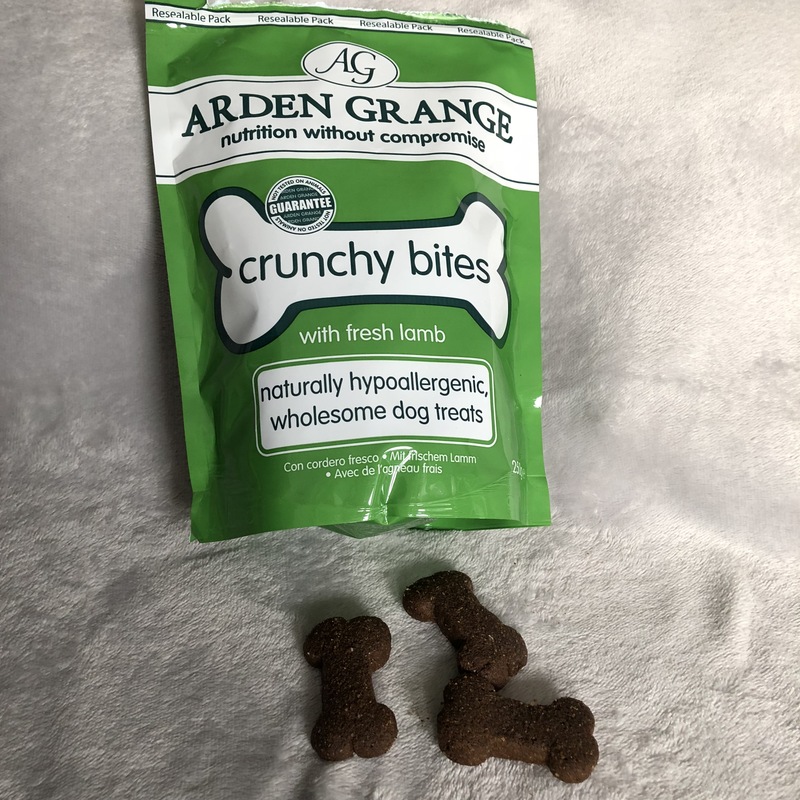 The Arden Grange Crunchy Lamb Bites were bigger than what I thought they are HUGE too big for Pixie and Roxy to have one whole. I have to break these and give them half each. Which is fine just gets a little messy. Lamb is something they hardly ever get as they had a sensitivity ages ago which seems to have disappeared now and they show no effects from it. I think because they haven’t had it for so long their eyes just about popped out there head when they smelt them. Very tasty treats for them and very crunchy. You can get different flavours of these and something I may try again maybe just the smaller treats next time. The last thing in the box which is the ScoobyBox Mini Beef Sausages we have not tried yet. I felt like opening two bags just now is plenty to try and usually do this for every box we get and keep one for later. Because we get boxes in every month we tend to have loads of treats opened at the one time so I didn’t want to open too many. I like that none of the treats in this box contain any rubbish and they are all natural and healthy. One out of the three treats I have tried before but ok it was a different flavour. I feel like I will get this now with trying out so many boxes in the past and what I don’t want is repeated items within a subscription. I understand that I may get an item that I have tried in another box and that is fine, but it is when I get repeat items of the same box is when I will be disappointed. Hopefully ScoobyBox won’t have this problem. So what is my overall thoughts? I recommend this box and hope that you enjoy it as much as we do. It is fun to see what surprises you get every month. You just need to try and not sneak a peek on any social media sites to see what others get before you open your box. 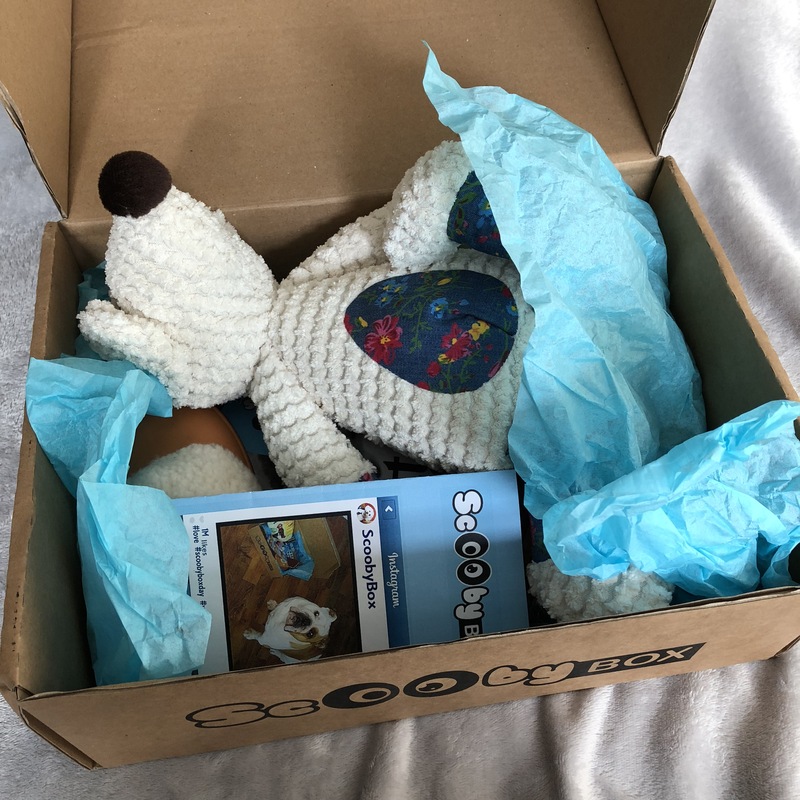 If you fancy trying out this box head to ScoobyBox and sign up for a box full of goodies and get £18 off your first box. You can also check out there Social Media Pages on Facebook, Instagram and Twitter.